Another enjoyable spy thriller that also has some serious bodyguard moments as Bodie, Doyle and Cowley try to find a leak in vital information as they try to protect a Middle Eastern leader with Western ties. Once again, Doyle goes undercover, this time as a student so that he can get information from a stewardess who was a room-mate of a terrorist suspect. We also see snatches of Bodie's sympathetic side, but it's business as usual for him near the end when he gets tooled up to take down the baddies in another blazing action set-piece. Lots of squealing tyre car action in this one and some good characterisation involving Frances and her "lover". Ted Childs' only script for the series a year after The Sweeney ended and it's a pity he wasn't allowed to write more. From TV TIMES - December 1979. I like this one. It has a good mix of all the cast, a good mix of action and double cross. I think Sylvia Kay's performance in this as Frances Cottingham is superb - despite all the action going on around her she really looks suicidal when she goes to the final meet. Nice simple plot too. The Holiday Inn in this of course the same one in Minder's 'Long Ride Back To Scratchwood' and Sylvia Kay herself of course turns up in 'Give Us This Day Arthur Daley's Bread' as homeowner Mrs Hurst. So many cool things in this episode, I particularly like the driving at the end and the final showdown with bazookas and machine guns is excellent stuff. Cowley mucking in is great to see and Doyle's chat up skills are also pretty noteworthy when he moves in as a student. Only downsides of this one for me (as in 'Stopover') is the here one minute gone the next underside damage to Bodie's Capri and I would have thought Shelley might have twigged Doyle was more than a student whe he piled out of the window to chase after the two heavies (Del Baker being one of them). 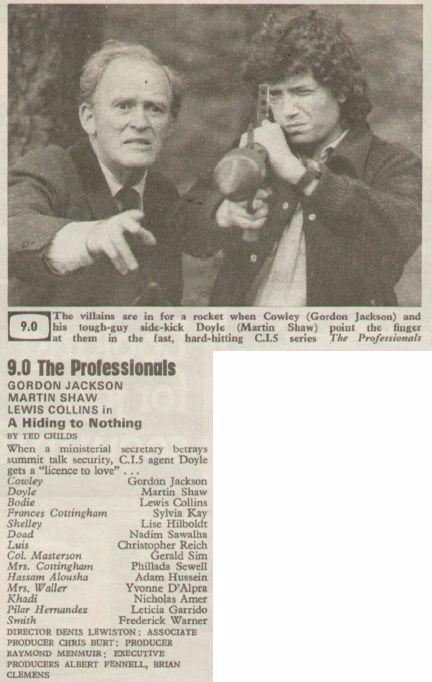 9/10 though - superb with all the ingredients of a top Pros episode. This is another top tenner for me. Rather than go into what I think, I've got another hi-fi observation (yawn). Not a bad episode. A bit slower paced than some episodes. Bodie and Doyle working seperately is a nice change. A fine plot twist at the end and an exciting shoot out with the lads more heavily armed than usual. 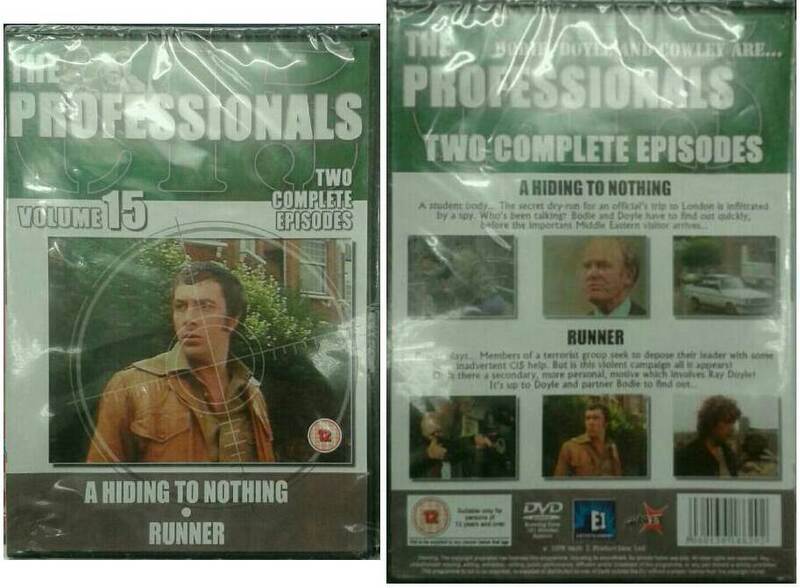 Double episode releases, as seen today in UK Poundland.